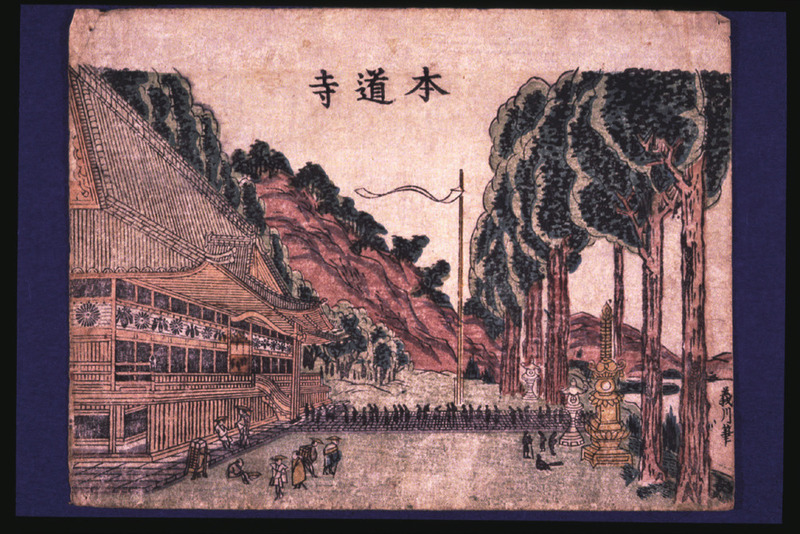 Happō Nanakuchi refers to the eight pilgrimage entrances to Mt. Gassan. Each entrance previously had its own temple and pilgrims’ lodge. The entrances are the Arasawa entrance (Haguro entrance) on Mt. Haguro, the Hijiori entrance at Aun-in temple, the Iwanesawa entrance at Nichigatsuji temple, the Shimekake entrance at Chūrenji temple, the Ōami entrance at Dainichibō, the Ōisawa entrance at Dainichidera temple, the Hondōji entrance at Hondōji temple, and the Kawadai entrance at Shōkōji temple (closed during the Kanei era, 1624-1644).